Fancy pigeon Thuringian Goldbeetle - or also known by the names : Pigeon Scarabee de Thuringe , Thüringer Goldkäfertaube , Colombo in Turingia a Collo Dorato , Тюрингский Золотой Жук - a variety that originated from Germany , particularly the region of Thuringia , which was developed since the 1930s ( which appeared between World War I and II ) . 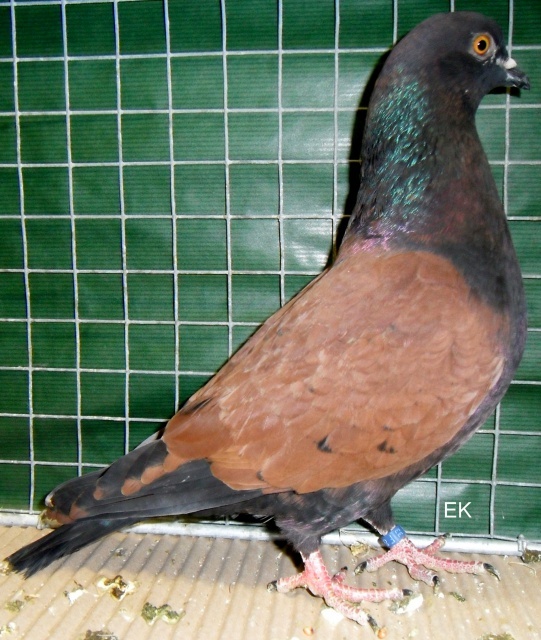 Varieties are classified into type this color pigeons , believed to have kinship with Franconian race , Moravian Strasser , and Archangel . 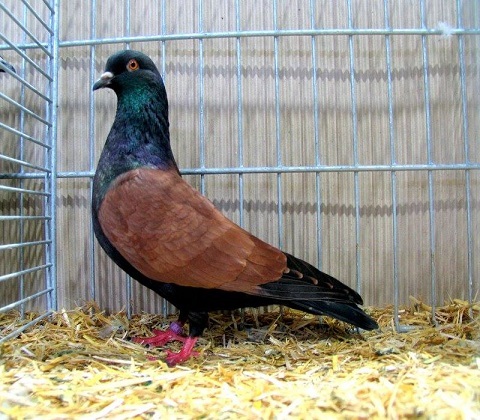 Although not yet widely grown in Europe , but this variety is well known , and many featured in various events . 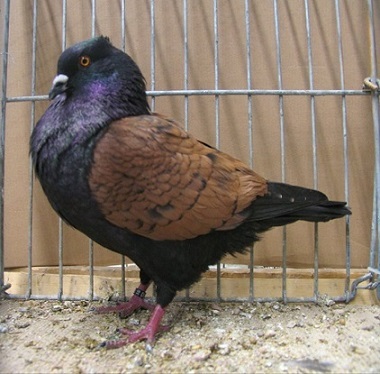 Having the ability to fly was good , but the aspects of appearance , especially the fur color , more concern.